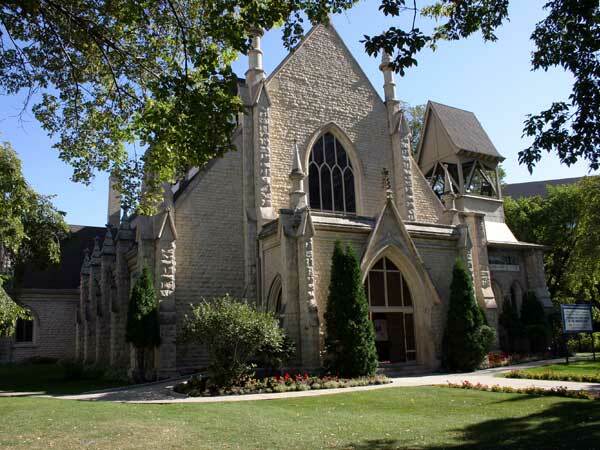 Erected in 1883-1884 on the north side of Graham Avenue between Donald and Smith streets in Winnipeg, to the designs of local architect Charles H. Wheeler, this picturesque limestone structure is a fine example of the High Victorian Gothic style. 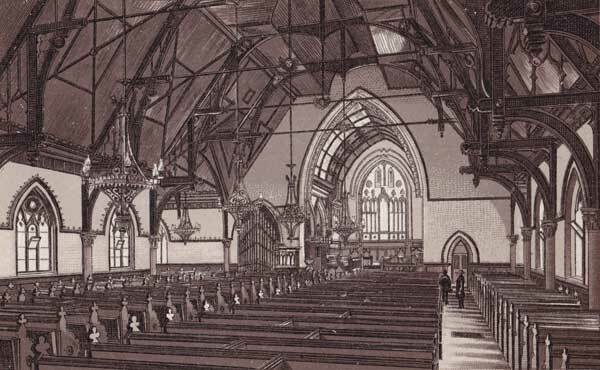 It displays a creative interpretation of the cruciform plan and a lively use of motifs such as dormer clerestory windows, buttresses, finials and hammer beam ceiling. The irregular outline, with attached parish hall and bell tower, recalls English parish churches. 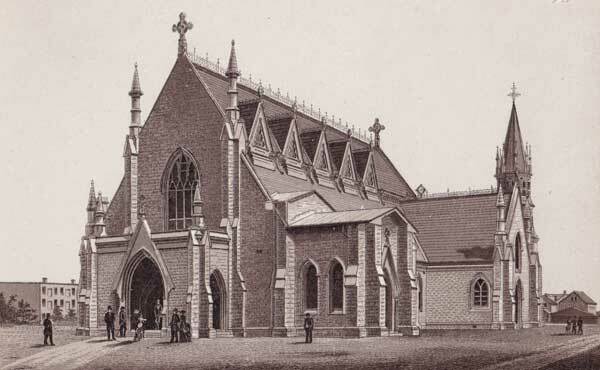 This church is the fourth to serve the parish since its incorporation in 1868. 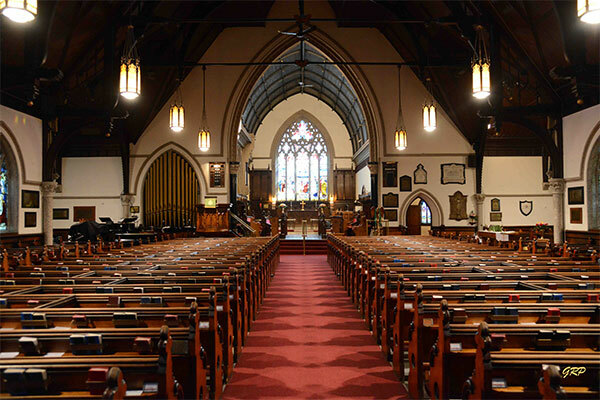 Set within a landscaped churchyard, Holy Trinity is a landmark in the heart of Winnipeg and a municipally-designated historic site. 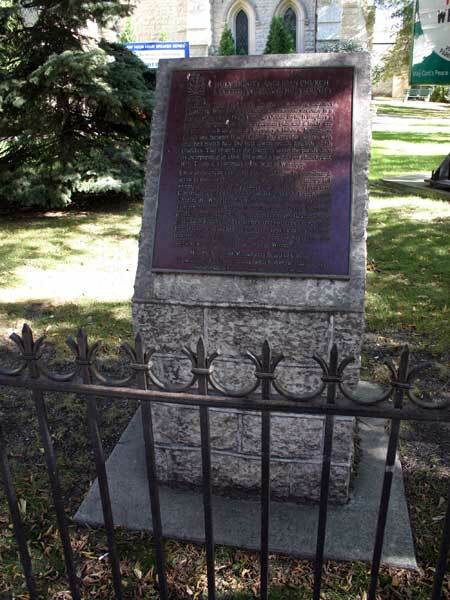 In 1990, a commemorative plaque was erected on its grounds by the Historic Sites and Monuments Board of Canada. Located on the interior south wall of the sanctuary are two bronze plaques commemorating the members of the Fort Garry Horse (FGH) who died in service of their country during the First and Second World Wars. The plaques were unveiled on 22 June 1947 by Lieutenant Colonel R. F. Bingham (former FGH Commanding Officer) and dedicated by Reverend C. C. Carruthers (former FGH Chaplain and Major). Also present at the event was Brigadier M. H. S. Pendale and Brigadier R. O. G. Morton. A tribute parade was performed by members of the Fort Garry Horse Association 10th Armoured Regiment, along with cadets and the regiments’ band. Plaques on the walls of the sanctuary commemorate parishioners who were killed during service in the First World War and Second World War. The First World War plaque was created by Alfred Howell, head of the art and sculpture department of the Toronto Technical School, and unveiled at a ceremony on 13 November 1921. “Churches honor members who fell during war,” Winnipeg Tribune, 14 November 1921, page 2. “Fort Garry Horse War memorial to be unveiled,” Winnipeg Free Press, 21 June 1947, page 10. “Bronze memorial plaque unveiled,” Winnipeg Free Press, 23 June 1947, page 3. “Plaque honors Fort Garry Horse,” Winnipeg Tribune, 24 June 1947, page 4. [Photo caption], Winnipeg Free Press, 24 June 1947, page 14. We thank Nathan Kramer and George Penner for providing additional information used here.